You Can Fight The Signs of Aging! 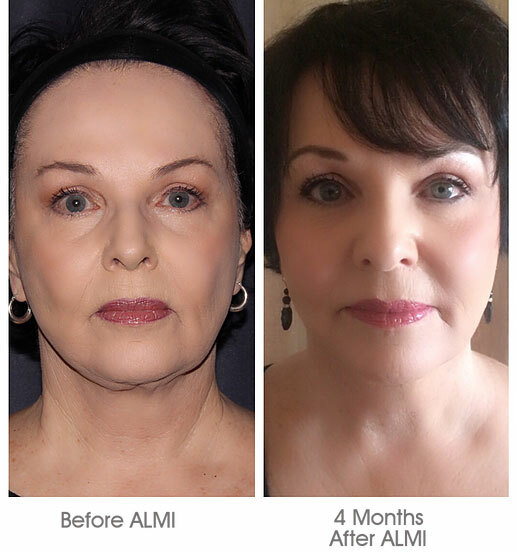 ALMI The “All Me – All Natural” Rejuvenation Procedure will help you turn back the hands of time to a more youthful you! How does ALMI work? When people get older and lose collagen, or even experience weight loss, volume is depleted and the structural support to your skin is lost. 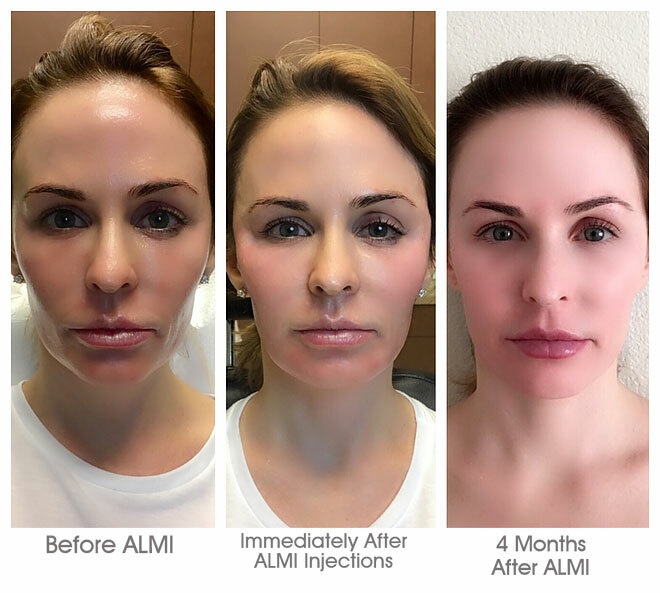 ALMI (Autologous Lipocyte Micronized Injection) is a revolutionary rejuvenation procedure using your own tissues to restore volume, texture and tone. The all-natural procedure is a simple outpatient treatment that can turn back the clock in less than 45 minutes with minimal-to-no downtime. Your body slows collagen production in your mid-to late-20’s. By age 40, most people have up to 20% collagen loss and by age 50 30% collagen loss. In order to restore the volume to a younger state, the volume and structure must be rebuilt to have a more youthful appearance. Using a combination of the body’s regenerative cells and fat tissue, the ALMI offers complete rejuvenation and natural looking results without going under the knife. 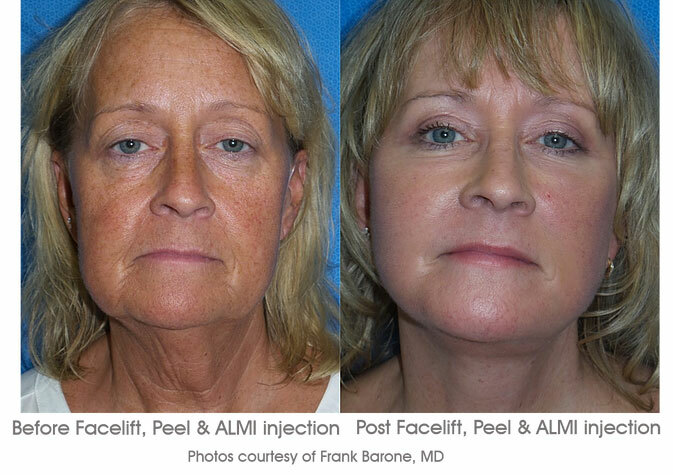 ​The ALMI Procedure is a nonsurgical treatment program that uses your own regenerative cells and fat tissue to address everything that happens to our skin with aging. Each ALMI Provider has been specially trained in the techniques and methodology to maximize optimal results safely.​ The ALMI offers a complete rejuvenation with natural looking results as the entire procedure comes from YOU!